This machine is used to cut green dry corn stover, wheat straw, rice straw and other crop straw and pasture. ♦ Three-blade cutter setting steel reinforcement ring, rigidity, strong, one integrated mass. The knife dish between spindle and add two-way adjusting nut, convenient to realize axial movement, the blade gap adjustment more freedom. ♦ Advanced feed grass, unique feed grass roller set (has obtained national patent), automatic feeding. Conveyor chain is not winding grass, feeding smooth, high production efficiency. ♦ Design a moving blade safety guide, put an end to accidents on the knife, for safe and reliable. ♦ Unique speed gear box structure, grass long convenient adjustment precision, reliable sealing box, good lubrication. ♦ Transmission part of rolling bearing and the outer box coupling configuration external heart, compact structure, flexible operation, easy to tear open outfit. ♦ Advanced feeding and conveying mechanism controlled by a switch, switch easily. In a freely. ♦ Domestic models of the largest, most efficient ensilage machine. Configuration of rubber tires. To solve the large equipment mobile inconvenience of embarrassment. ♦ The blade using high-quality steel, refined by a special process. Super wear resistance, high strength bolt connection, the use of safe and reliable. Our company is located in northwest of Henan Province, 80km away from provincial capital zhengzhou. The material we using is 2mm thicker than feed machinery standard, besides, we offer you 24hours rapid response for full-time. 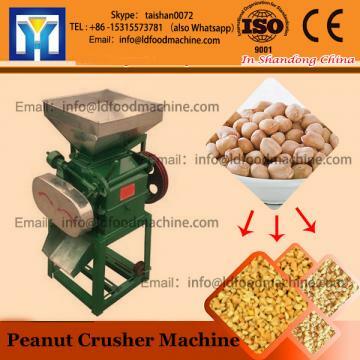 We have exported to more than 20 countries.We have been been manufacturing this machine for more than 15 years, and all of our customers think highly of our pellet machine and other products. We are confident that you will also satisfied with our products. Our machine are with CE, BV and SGS certificates. 1.24 hours rapid response for full-time. 1. Wooden or metal case according to specific size of each equipment, we twine thick plastic coating for each machine. 1. The material thickness of main equipment is more than standard 2mm, you can weigh and contrast-plese pick up the caliper and calculator to inspect. 2. Paramilitary after-sale, 24hous rapid response for full-time. 3. One of the most powerful manufacturers in Henan, China. 5. Strict operation training plan: teach your workers to operate the machinery in the best way to keep the machinery function well. If you are interested in our productions, please don't hesitate to contact me!